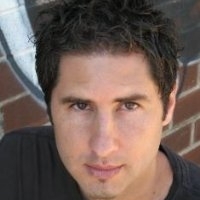 Matt de la Peña has written four novels: Ball Don’t Lie (soon be a major motion picture starring Ludacris, Nick Cannon, Emelie de Ravin and Grayson Boucher), Mexican WhiteBoy, We Were Here and I Will Save You. His books have received many awards including ALA-YALSA Best Book for Young Adults (Top Ten Pick), ALA-YALSA Quick Pick for Reluctant Readers, Notable Book for a Global Society, Junior Library Guild Selection, Bulletin for the Center of Children’s Literature Blue Ribbon List and NYC Public Library Stuff for the Teen Age list. In January 2011 his first picture book, A Nation’s Hope: The Story of Boxing Legend Joe Louis (Illustrated by Kadir Nelson) will be released by Dial Press. Matt received his MFA in creative writing from San Diego State University and his BA from the University of the Pacific, where he attended school on a full athletic scholarship for basketball. de la Peña currently lives in Brooklyn, NY — he teaches creative writing at NYU and visits high schools and colleges all over.